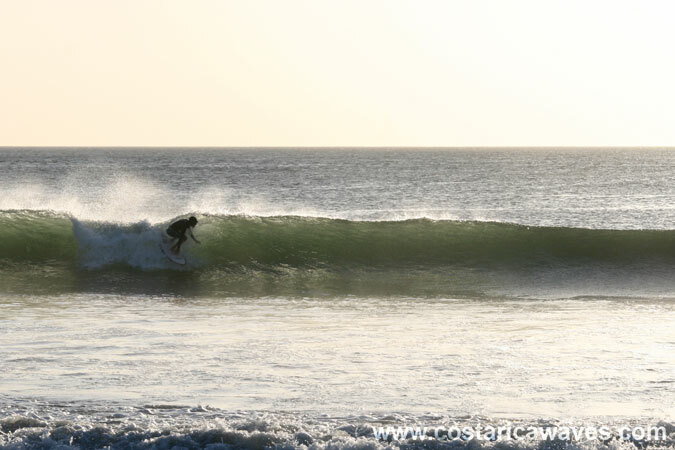 There are various breaks in Langosta that can get good. River mouth breaks to the left and right over a reef and sand. Watch out for crocodiles close to the river! This wave is best surfed at mid-tide. 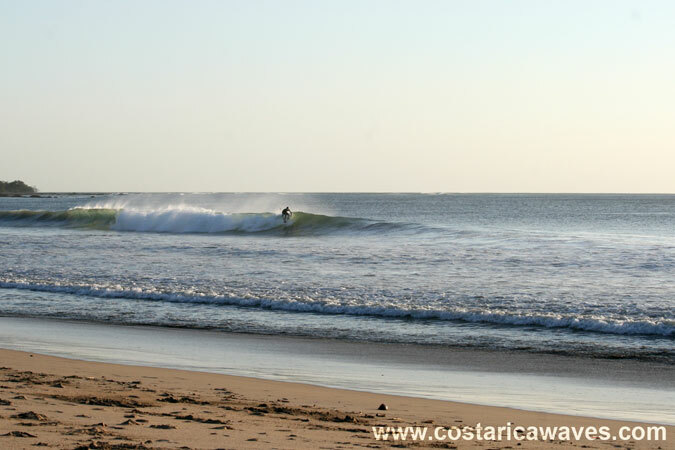 Than there is this spot called Sapo, which breaks in front of the Barcelo Langosta hotel. Surf this, left and right breaking wave, during low tide. 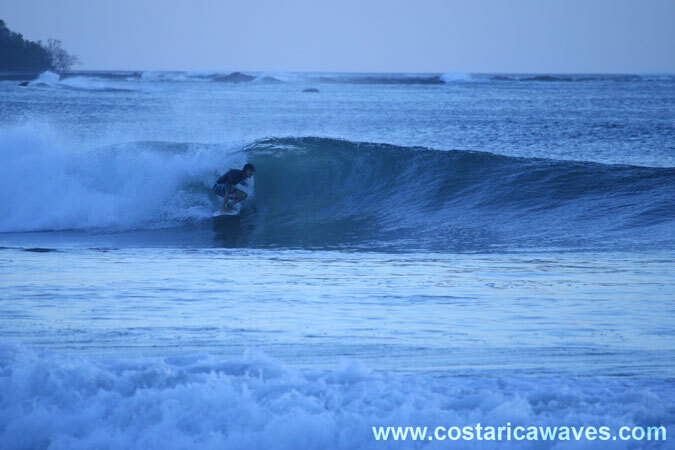 Walk 5 minutes further south from the river mouth and you get to a surf spot called Capetown or Octavo. 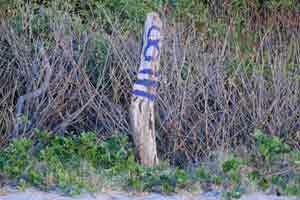 The waves break in front of the wooden post with an eight written on it. Playa Langosta is a bit further south from Tamarindo. 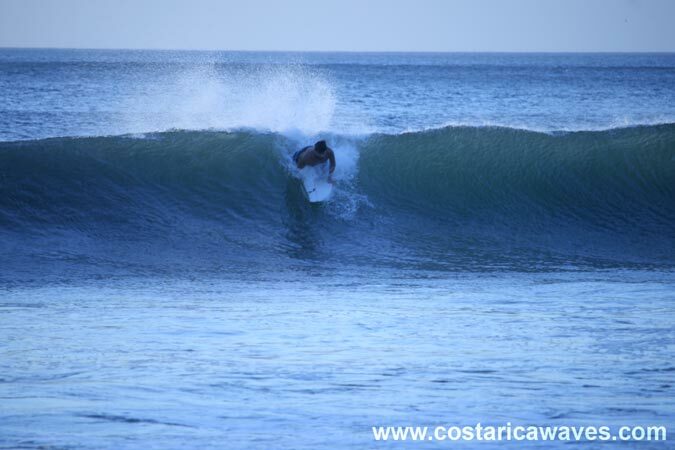 If the waves aren't good in Tamarindo one can check Playa Langosta. The spot on the photo is called Capetown. 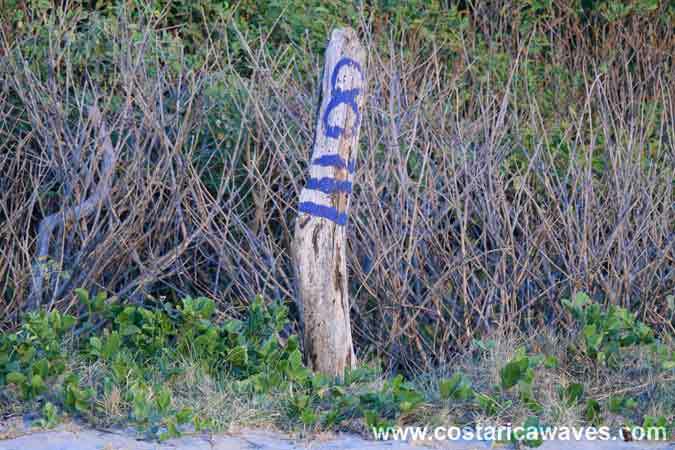 Walk down the beach till this wooden post and you are at Octavo. The waves break to the left and to the right. 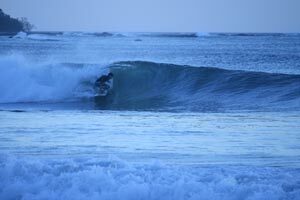 The waves at Capetown are quick and barrel. 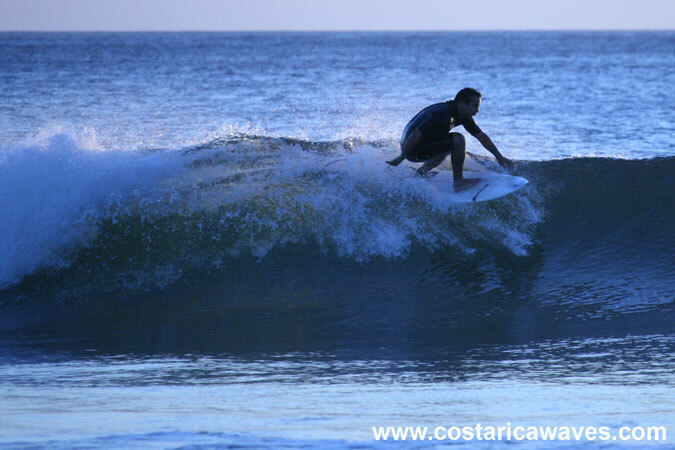 The offshore winds are typical in Guanacaste during the dry season. 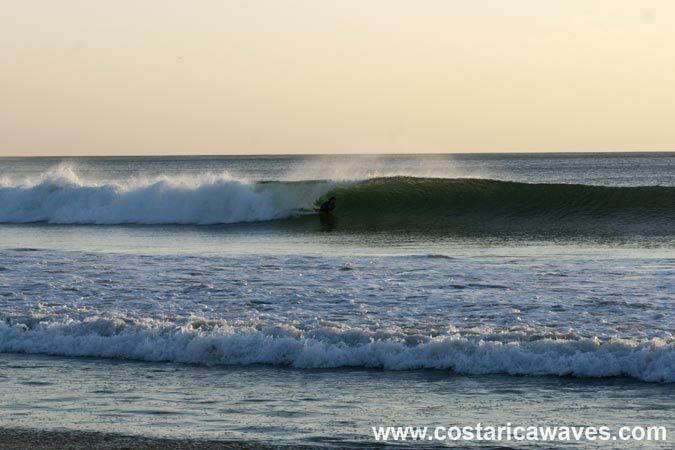 The waves at Capetown (Octavo) are faster and hollower than the waves at the river mouth. 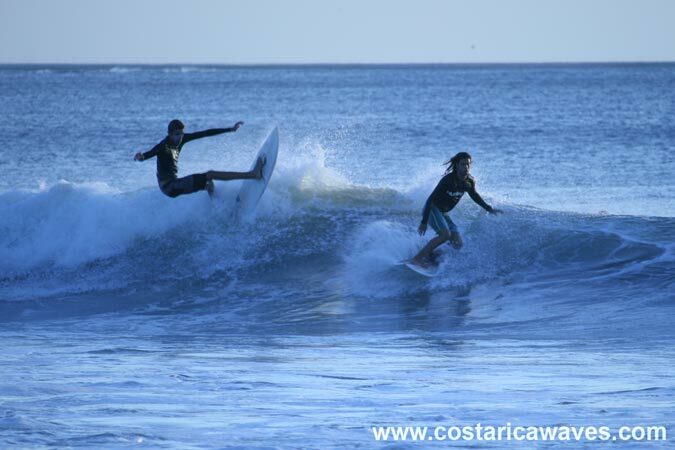 A bodyboarder getting barreld at Playa Langosta.